Who is excited for the NEW Catalog Release July 1st? Richard and the Journey Team have done a FABULOUS job with the new catalog from the reformatting of the Catalog itself.. To the fact that it is 100 pages MORE than the previous catalog!! Say what! Yes 100 pages MORE! Well Fun Stampers Journey has 3 Partnerships.. What does that mean for you? 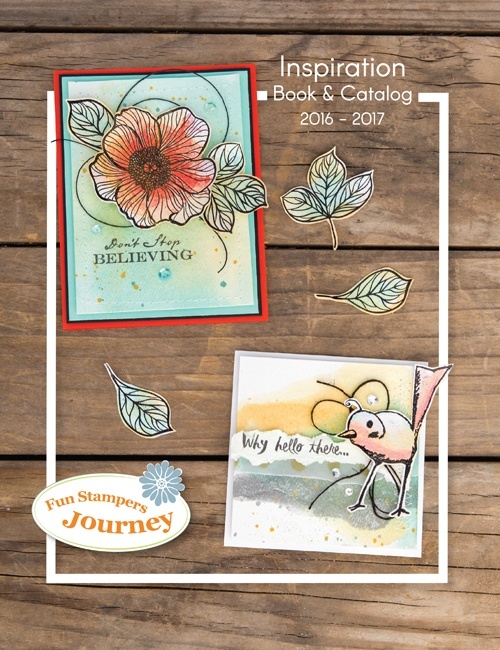 Websters Pages has Partnered with Fun Stampers Journey and we have a line of planners and planner inserts. Amber Crowell of Simple Stories has partnered with Fun Stampers Journey.. We now have a line of memory keeping products, albums and pocket cards..
Lastly Fun Stampers Journey has partnered with Pan Pastels!PanPastel Colors are professional artists’ quality soft pastel colors packed in a unique pan format (cake-like). The special qualities of PanPastel Colors mean that artists can blend and apply dry color like fluid paint for the first time. Fun Stampers Journey has something for everyone. Let me show you a few of my FAVORITE new products in the catalog. Faith Journey a selection of items for Bible Journaling and so much more. Be AmazingThis collection is all about the color! Be amazing introduces our new Color Trends, a collection of 6 gorgeous neons along with a collection of dazzling stamps, accessories and papers. Celebrate everyday moments, the little slices of life for love, for thanks or just for fun. Slice of Life offers the perfect collection of greetings and stamp designs all with a bright, fresh and juicy palette. Looking for ideas for masculine cards? Look no further than the DUDE collection! Whether yours is an outdoorsman, sports fanatic, a gamer, a musician or a sharp dressed man this collection will help you create dapper cards year round. Shine Bright with this gorgeous and diverse collection. From stained glass to skyscrapers, brush strokes to bulbs, the Decorative collection offers you countless ways to inspire your creativity. You make the memories we'll help you preserve them. Our new memory Keeping line in the Journey Days collection offers albums, and pocket pages of the highest quality to care for your memories for years to come. If you would like to order your own copy of the Catalog please feel free to contact me.